It’s the official CocO Gold Party. 08 Oct It’s the official CocO Gold Party. It’s a CocO GOLD PARTY and you’re invited. 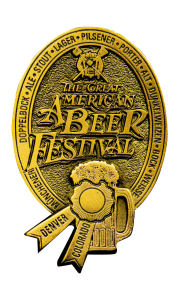 This Saturday, October 11 from 7-10pm, we’ll party properly to celebrate the Gold Medal that head brewer Karl Schmitz won for us all. There will be plenty of CocO related things going on, and King of the Tramps returns for live music. The crew from Hey, Good Cookies! is bringing the grilling rig and making chicken marinated in our 10 Foot 10. Good grief. You can’t miss this. Check back here for details…we’re inventing it as we go. Thanks, glad you like it!!!! You should be able to find our beer at HyVee. The CocO won’t be available until mid November…but it doesn’t hurt to ask…that’s how we get beer into a lot of our accounts. I have The Brewhouse on my list of calls to make. I’ll say hi to Mic as well, take care!!! Also, Say HI to Dr. Mickie for me!!! CONGRATS on the Coco stout!! It’s been our favorite from day one. This is Karla that worked for Dr. Cochrane. Craig and I have since moved to Altoona. Where can we find stout down here in this area?? I highly recommend that you talk with the owner, Craig at The Brewhouse, in Altoona.